The boom in solar panels on rooftops and ever cheaper batteries is a looming and disruptive issue for utilities across the U.S. The Rocky Mountain Institute recently published a report that said the combo of solar roofs and energy storage (like batteries) could enable sizable chunks of the U.S. to defect from the grid by 2030, leading to an erosion of customers and revenue for utilities. Many see the transition similar to how the phone companies were disrupted by free internet calling tools like Skype. And like with that telecom trend, the transition in energy will create winners and losers that both are trying to compete directly with utilities and facilitate the disruption, and ones that are trying to create products that help utilities both survive and transition. There are innovative and successful startups on both sides. SolarCity has been building a large businesses in signing up and financing as many solar roofs as possible, and in many cases it sees itself as a direct competitor to utilities. The company went public in 2012, and this week SolarCity described its 2013 as “an amazing year,” though it delayed its full earnings until next week. 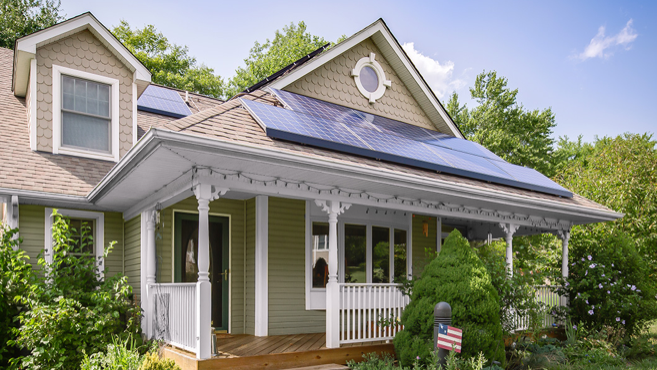 But SolarCity did say it had installed 280 MW of solar energy systems in 2013, which was a 78 percent jump from the amount it installed in 2012 — and 73 percent of those installations last year were in the residential market. SolarCity said it expects to install another 475 MW to 525 MW of solar roof projects in 2014, which would give it a bragging right to say it has reached the 1 GW point since its founding in 2006. Energy generation volumes on the gigawatt scale mean SolarCity is starting to meet its goals of becoming a new type of distributed utility alternative. Pair that with the low cost batteries that Tesla expects to build by 2020 and SolarCity is creating a sort of utility-in-a-box product that energy customers can buy and cut the utility out of the equation (at least from the revenue perspective). Distributive solar will still mostly need to connect to the grid, but the utility could end up being just the dumb pipe (as telcos are sometimes called). Then’s there the other side of the equation: products that help utilities transition and survive. Chief among these is Opower, the energy software company that sells energy software tools to utilities that manage the relationship with the customer and encourage the customer to lower their energy use. 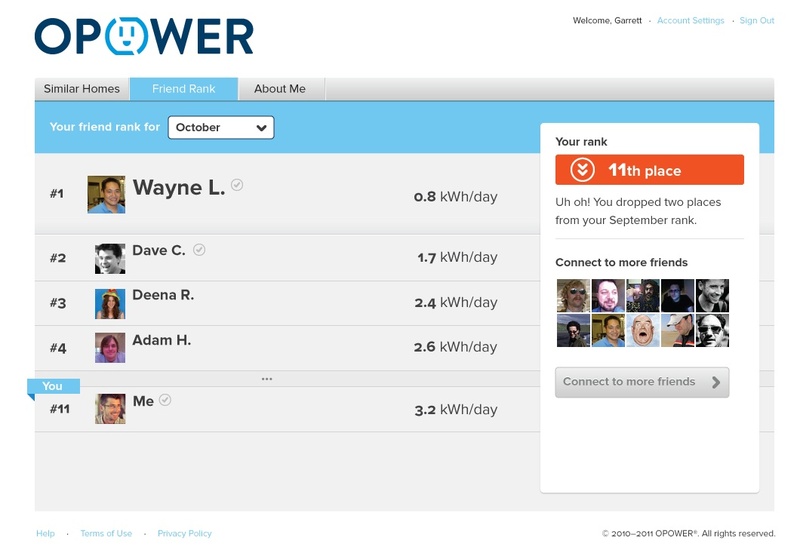 Opower has almost 100 utility customers, and this week launched the next-generation of its software, which Opower CEO Dan Yates told me is becoming “the customer engagement platform for the industry.” The company even has its own user conference, which it held for the first time in Miami, Florida this week. Utility partnerships are sometimes hard to get — utilities are slow moving and cautious — but Opower has them in spades. Maintaining those customers and building products the utilities want to use has been the company’s chief success. That success could mean going public this year. Opower has reportedly filed confidentially for an IPO, and could file its S-1 imminently, which will give the industry an opportunity to look at its financial statements for the first time. To note, both SolarCity and Opower are venture capital-backed startups, demonstrating that there are some successes from the cleantech era on both sides of this transition. Thanks for the insight Katie. google has ferc approval, maybe could have spent $$$ on a company that has demonstrated value and folks capable of design a little more complex than a weekend arduino project aka Nest. It seems to me that Google is well positioned to make some acquisitions on the retail side.